Fotografije dana: 6. jun 2016. 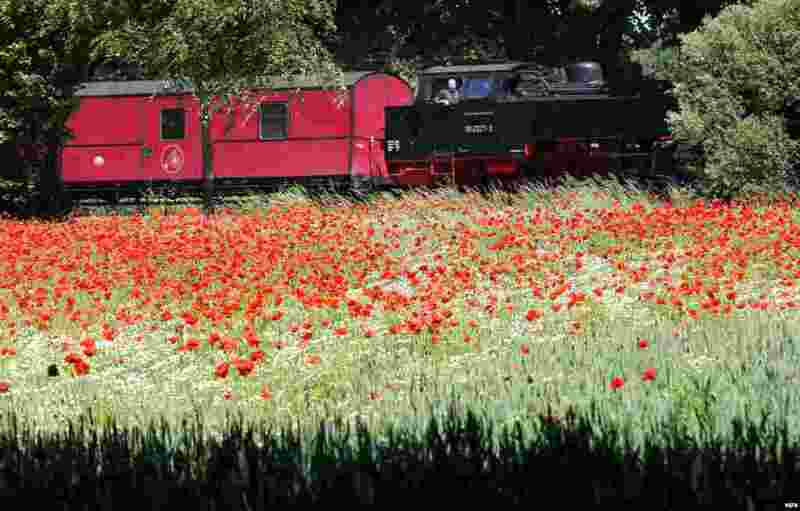 1 A local train passes a grain field with corn poppy and camomile flowers near Bad Doberan, Germany. 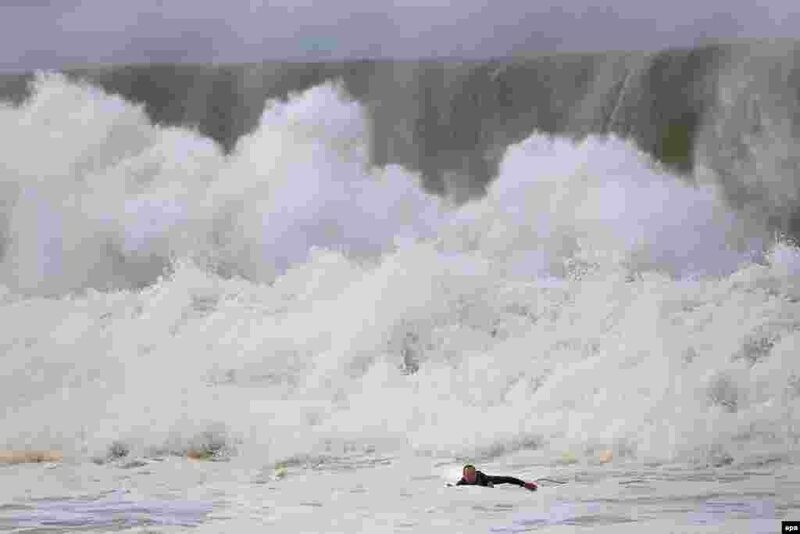 2 A surfer paddles back to shore when a huge wave crashes behind him at Narrabeen beach in Sydney's Northern Beaches, New South Wales, Australia. 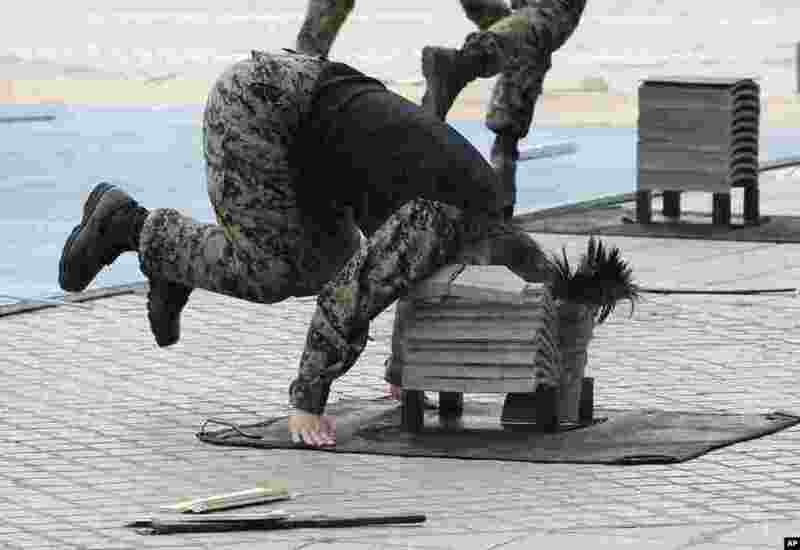 3 A soldier from the South Korean Army special forces breaks stone plates with her head during a martial arts demonstration for Memorial Day at Korea War Memorial Museum in Seoul. 4 Students sit in circles during a Quran recital class on the first day of the holy fasting month of Ramadan at Ar-Raudlatul Hasanah Islamic boarding school in Medan, North Sumatra, Indonesia.